Fantastic addition to a variety of outfits. Wonderful stylish belt worn from the Dark Ages to the High Middle Ages. Historically accurate in its manufacture. 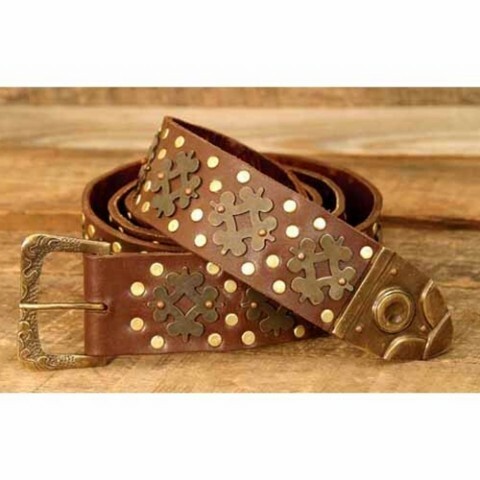 Richly adorned with antiqued and polished brass accents, buckle and belt tip. Made from thick top grain brown leather 178cm long x 5cm wide. Can be worn by just about any sized individual.